A beautiful flower to decorate your designs. It’s a quick and easy pattern to create. It’s a free pattern. Have a look! The flower is in a beautiful shade of red. It is very decorative. You can use it as a coaster. Add it to your old or new designs. The flower is beautifully presented. It has many uses. 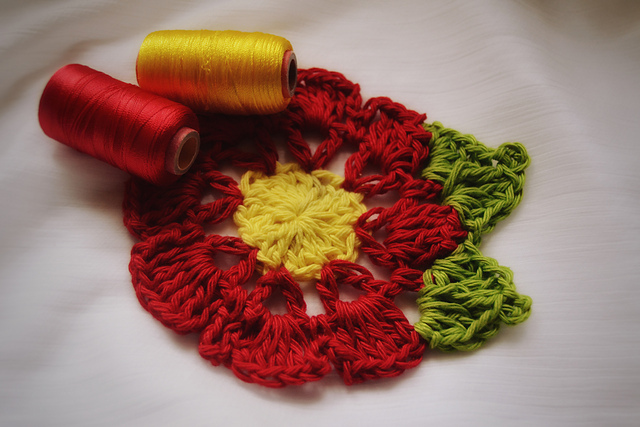 The pattern is made of beautiful yarn Lotus International (India) Laura Knitting Cotton. Good luck! 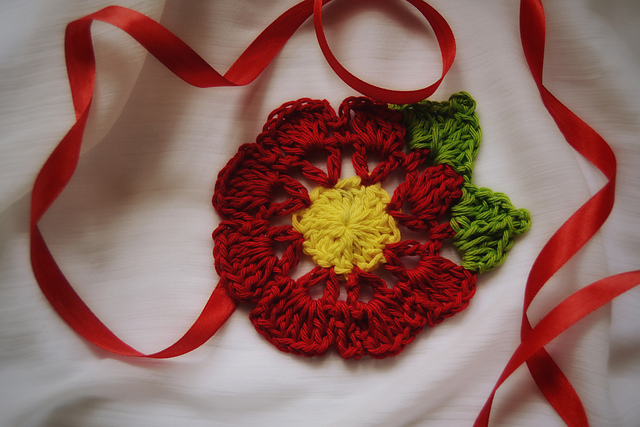 Coaster in Bloom Free Crochet Pattern is here.